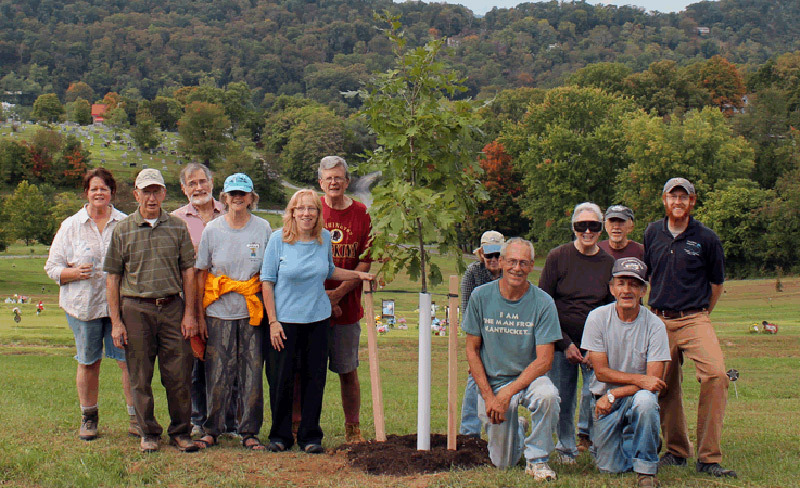 The Town of Bath planted 12 shade trees in Greenway Cemetery in Berkeley Springs, WV on September 27, 2012. 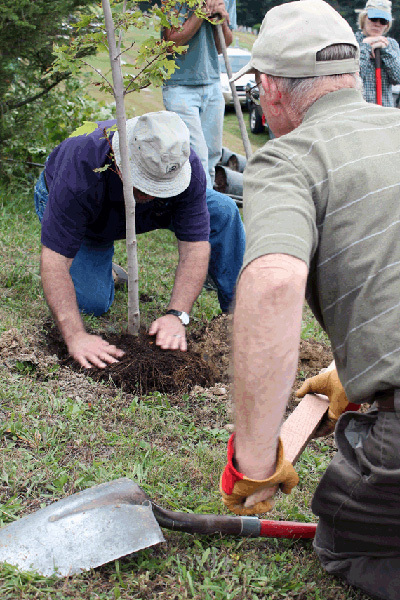 Seventeen volunteers participated in this cooperative project that included town employees, local residents, board members of the Town of Bath Management and Maintenance Cemetery Corporation (TBMMCC), members of the Town of Bath's Tree Board, two employees of the TBMMCC, and members of the local gardening club, the Lions Club, and the Warm Springs Watershed Association. 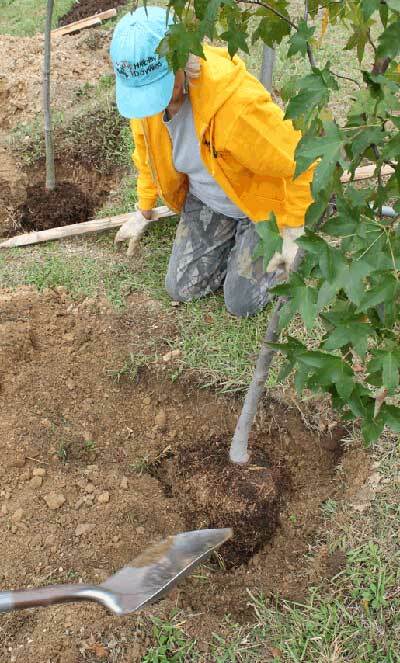 After the holes were dug, local volunteers planted the trees and staked and mulched them. 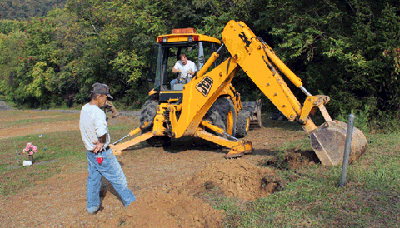 Those volunteers were from all of the organizations mentioned above. 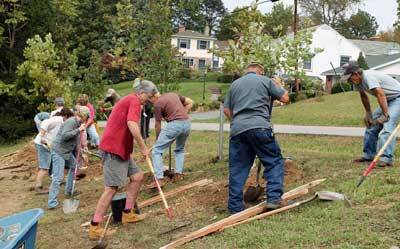 It is worth noting that some of the volunteers from the Town's Tree Board who helped plant the trees in Greenway Cemetery are experts in urban tree landscaping and/or urban forestry. 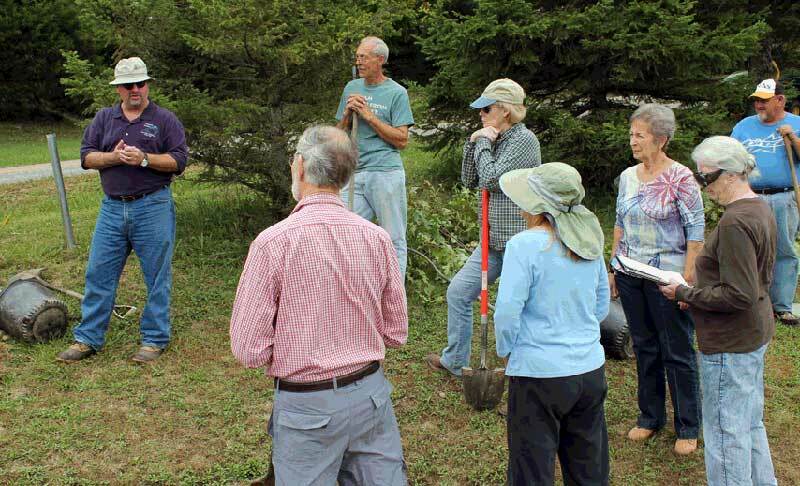 Many of the volunteers that helped on September 27, 2012, had previously helped plant trees in the Town of Bath and some had never planted trees before. 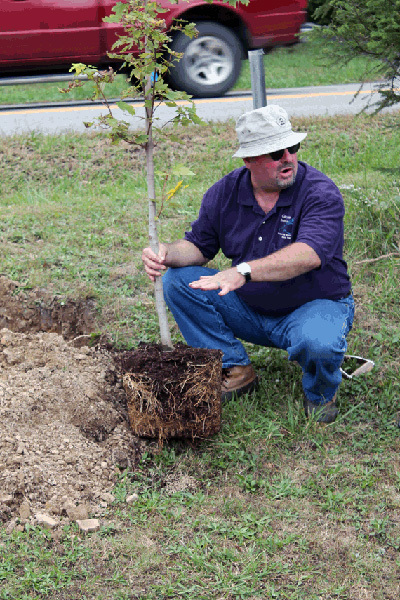 The Greenway Cemetery planting began with WV Project CommuniTree representatives educating the volunteers in proper tree planting. 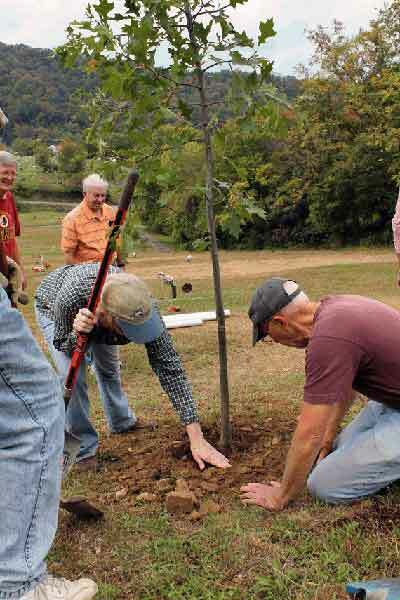 Some of the volunteers were new to tree plantings and participated in this project because of their commitment to help beautify the cemetery itself or to help the local watershed association protect the Warm Springs Run, which is across the street from Greenway Cemetery.